With the build of our new home in full swing, I've decided to start a series centred around this exciting yet slightly daunting project! Focusing specifically on the interiors side of things, I figure there's no better way to kick off than with the kitchen. Like most Mums I spend loads of time here preparing meals and keeping hungry little tummies full! It's a cliche, but kitchens are the heart of the home and that ultimately is what we are striving for. Our kitchen, dining and living spaces are going to be open plan, and while the kitchen is not huge, the island (which was a must) is fairly long. I know the kids are going to love having a breakfast bar and I'm going to love spending time there entertaining friends and family. 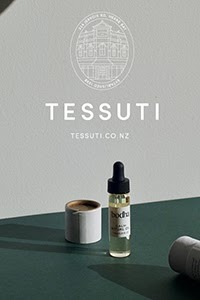 I'm sure it will come as no surprise that the colour palette we've chosen is monochrome. With my love of Scandinavian design and a yearning for pared-back simplicity, I like the idea of keeping the canvas white and adding colour and texture through furnishings and homewares. I've always wanted pale wooden flooring so that's what we've chosen for this area of the home. I'm completely obsessed with marble so that's also at the top of the wishlist. Of course I'll be doing my best to achieve the elegant, stylish home I've always wanted within budget. Ahem, I know. Not easy! But I'd just like to say that if there is any area of a new build that needs a bit of extra dosh thrown at it, it should be the kitchen! Right? Who's with me on this? It also goes to explain why I'm pushing to get 'my' kitchen signed off before hubby goes crazy with the electrical plan! It really is such an important area of the home to get right, but I am realistic. 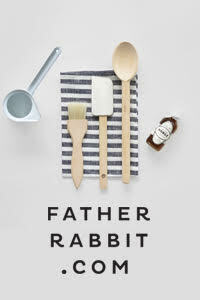 While we want good quality cabinetry, benchtops and tapware, I'm all for mixing bargain finds with designer pieces when it comes to kitchenware and accessories. In fact I'm quite looking forward to the challenge! Here are a few images that pinpoint what we're going for. 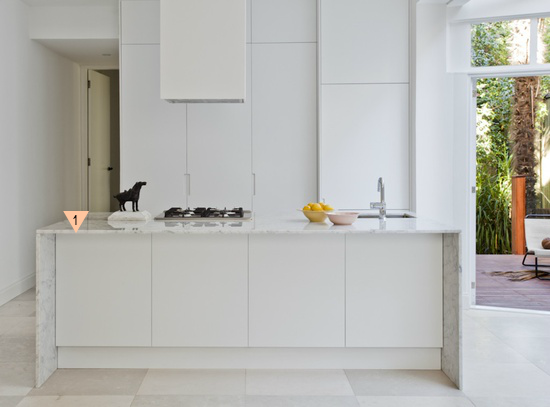 This kitchen was designed by Dina Broadhurst whose work I've previously featured on the blog here. This marble waterfall island (1) is pure inspiration! I love the narrow width of the bench. Sleek and elegant, I think it works especially well with marble which has such a timeless quality. When it comes to the kitchen of a world-renowned food guru like Donna Hay, you know it's going to be good. The Donna Hay Studio kitchen, designed by Brian Hoy Design not only looks stunning, it has a great layout and top notch appliances. I've picked this one out because I love the marble splashback (1) and the stainless steel back benchtop (2). 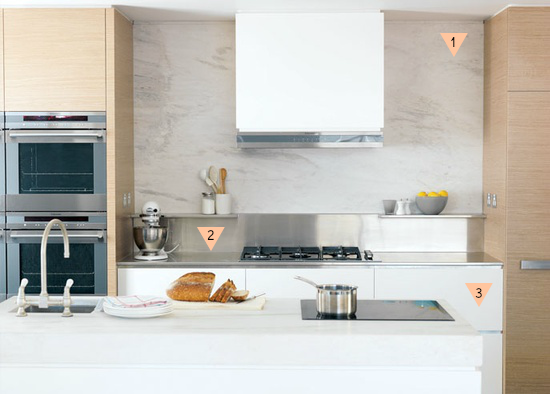 While we're considering both of these surfaces for our kitchen, we know for sure that the cabinetry will be all white with recessed/negative detailing i.e no handles (3). To maximise storage, we've chosen to extend our cabinetry as high as possible (1). It also prevents the dreaded dust collection you get at the top of cabinets! I've already got my black and white striped rug from Let Liv (2) and we are installing pale wood flooring (3) although wider floor boards then these. Just so you know. 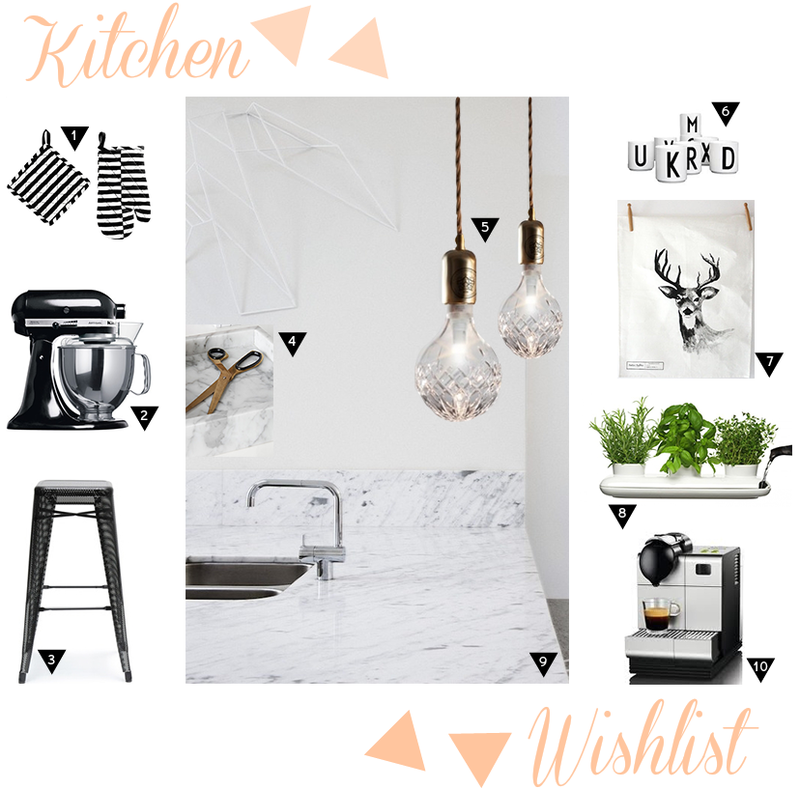 To finish off, here are ten things on my kitchen wishlist. Have any of you gone down the path of building? I'd love to hear your experiences. Or maybe you'd like to? Whether you're thinking about building or even renovating, I hope that by sharing my journey with you I inspire some of you out there to take the plunge and go for it. Before I go I'd like to say congratulations to Erin Pickering, the winner of the Endemic World - Inaluxe Giveaway! Also a massive thank you to Endemic World for their generosity. 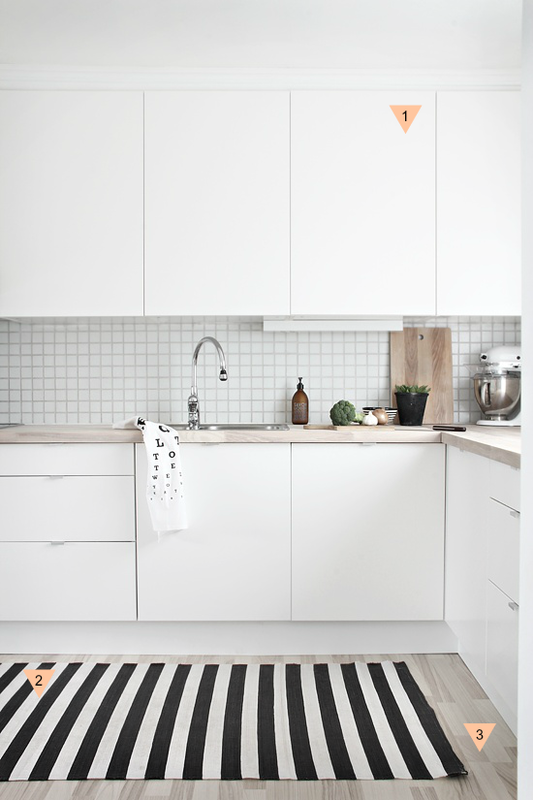 I'm loving the idea of the kitchen rug at the moement and this B&W one is great !! I love your ideas and style, I am currently in the middle of building our own home and are tossing up ideas for our island bench. I like the earthy tones that you use and we have a polished concrete floor with woodgrain cupboards and white overhead cupboards. We can't decide on a Calcutta marble or a polished concrete bench top. I'm concerned the room will have too much cement in it if we go polished concrete. What are your thoughts? Thanks heaps for your feedback, I really like the concrete too. But I was just worried that the concrete bench and floor being different may look weird, as they will be different pour's of concrete. Thanks heaps for the feedback, I love concrete too but I was just worried that the concrete bench and floor being from diiferent pours (hence possibly different colour) may look weird. Also while you are on a role I would love to hear your thoughts on bathroom tile selections. It seems to be our most difficult decision of the entire house.